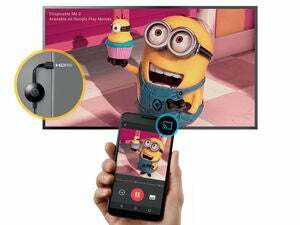 Chromecast users finally have a way to send their own photos and videos to the television, thanks to AllCast. The app allows Android phone and tablet users to send locally-stored media to the big screen by tapping a few buttons. You just open the app, select your Chromecast from the list of playback devices, and tap on any photo or video from your camera roll. AllCast can play locally-stored music to the television as well. Beaming your photos and videos in AllCast is as easy as selecting a playback device. AllCast already supports other devices such as Roku, Apple TV, Xbox One, and certain smart TVs, but Google had been blocking Chromecast support prior to the launch of its official Google Cast SDK. Now that those developer tools are available, AllCast should be the first of many new Chromecast apps, though it fills a particularly large hole in Chromecast's feature set. 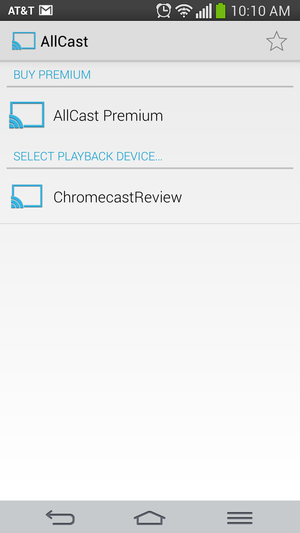 To use AllCast with Chromecast, your Android device must be running Google Play Services 4.2.34, which is in the process of rolling out now. If you can't wait, Android Police has posted the APK file, so you can manually install the latest Play Services. I've tested the file and confirmed that both it and AllCast are working properly. As for the app itself, it gets the job done, but it also has several issues, including the occasional video hiccup, problems with playing the same video twice in a row, and a “Stop” button that doesn't always work properly with photos. Most vexing of all, AllCast doesn't immediately turn on your television and switch to the correct input when selecting Chromecast as the playback device. The TV only turns on after you've selected a photo or video, which slows down the viewing process and can eat into video playback time. 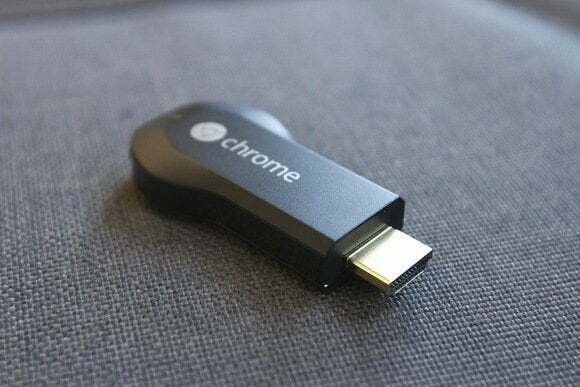 Still, it's the best--and only--solution that Chromecast users have right now for playing media from their phones and tablets. AllCast is free, but there's a $5 premium version that removes advertisements and splash screens, and lifts the 1-minute limit on videos.